If you have a malocclusion that requires orthodontic treatment and you are interested in alternatives to traditional metal braces, Wyandanch Invisalign might be the solution for you. Invisalign braces have been proven to be very effective in correcting many malocclusions. Many patients like them because they offer some amazing benefits. Wyandanch Invisalign braces can straighten your teeth without the use of wires and metal brackets. No one will even be aware that you’re wearing them because they’re virtually invisible. They don’t contain metal brackets and wires but a series of clear, plastic aligners to fix orthodontic problems instead. They’re also very comfortable because they’re made of removable, plastic aligners. If you’re considering Invisalign, you should consult with an experienced dentist like ours at Dental Arts of Wyandanch and Huntington Station. Our quality dental practice not only can help you with Invisalign, we offer a full array of exceptional dental care services at our practice. Whether you need Invisalign, a routine checkup and cleaning, or a full mouth restoration, we can provide it for you. 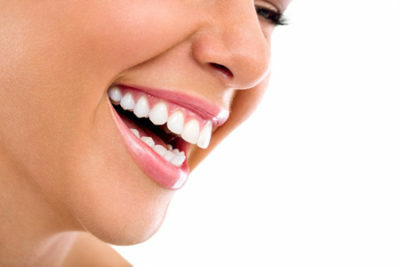 Some of the many services we offer aside from Invisalign include: bridges and dentures, caps and crowns, teeth whitening, pediatric dental care, extractions, implant dentistry, extractions, root canals, night guards and more. You’ll be in excellent hands with our caring, highly skilled dentist. Our experienced dentist, Dr. Preetika Gupta focuses on providing complete dental care to a wide variety of patients. If you get anxious when you go to the dentist, you’ll truly benefit from seeing Dr. Gupta. She makes it a priority to make our patients feel comfortable and to make each visit with her as anxiety-free and as pain-free as possible. To learn more about Wyandanch Invisalign braces, you should consult with our expert dentist. Contact our office to set up your appointment today.